The map on the right shows central Stavanger. 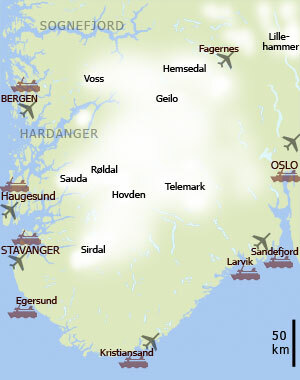 The map below shows south Norway. During the winter, this map will show the skiing areas.